You've come to the right place to get your home SOLD. Who do we help sell homes? The Jason Brown Group works with resale home sellers, investors, developers, home builders and banks in getting area homes SOLD. Our coverage area includes Kansas City, Johnson County Kansas, Overland Park, Olathe, Lenexa, Leawood, Shawnee, Prairie Village, Lee's Summit, Lawrence and the surrounding area. Our home sellers net more in their real estate transactions because of our structured listing process and because we work daily to make our sellers success priority #1. How do we get your home sold? Our marketing plan is thorough and we go far beyond traditional marketing methods to get our seller's homes SOLD. When hiring a Kansas City Realtor, you'll want a detailed marketing plan implemented and you'll want to hire a real estate agent who understands that 90% of home buyers today are going online to start the home search process. We make sure our seller's homes are listed in the places online where buyers are searching homes and, just as importantly, our listings look GREAT online. We provide a maximum number of photos for our listings and include a detailed property description as well a virtual tour. We know that if buyers don't find a home online then the home is sure to take longer to sell and is very likely to sell for less than it should. But we don't stop there in getting your home sold because we know there's an 90% chance that your home sale will involve a Buyer's Agent. For this reason, we're constantly networking with the local buyer's agents in our community to get the word out about our listings. It cannot be understated... Your listing agent needs to be marketing your home not just to buyers but also diligently marketing your home to Buyer's Agents. Real estate has certainly changed and there's a lot more to getting a home sold than simply throwing a sign in the yard and entering a half-hearted listing into the Kansas City MLS. There are several factors that affect the length of time it can take to get a home sold... A few of the prominent factors being pricing of the home, location of the home, condition of home and prevalent market conditions. Pricing of a home is often the most critical factor and a great home in a great location can go unsold if it's overpriced. When meeting at your home, we'll discuss all of the factors that we CAN and can NOT control. Some factors that we can't control, but which must be factored into the selling equation, include the location of the home (lot, community, etc.) and market conditions (recent sales, current listing activity, etc). Factors that a seller and listing agent can control include condition of a home (i.e. repairs, updating, etc.) showing condition (i.e. staging tips) and implementation of a thorough marketing plan. Coming back to the most important factor of selecting an appropriate list price, a good general rule is to price a home in a manner that is likely to get the home sold in LESS time than the average days on market for the community. Pricing a home appropriately early in the process is almost always the best way for a seller to net top dollar in their home sale. Why choose The Jason Brown Group to sell your home? 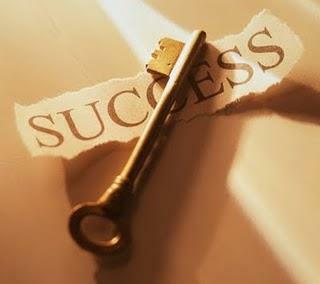 We truly care about your success and you'll see this in our marketing and in our representation. We stay in communication with our sellers along the way and we complete the tasks we promise to accomplish. We go the extra mile to make sure we cover all of the important bases in getting a home sold. We stay on top of the latest marketing methods, we're expert negotiators and we're easily one of the most organized real estate groups in the area. Being on top of OUR business helps ensure you have an agent who's on top of YOUR business and our efforts get the majority of our listings sold within 30 days and for 99% of list price. We provide regular market condition updates on your community and the surrounding areas. We send frequent updates when homes are listed and sold in your subdivision. We send regular updates showing what's being done to market your home. We share the commission with buyer's agents to ensure your home gets attention. 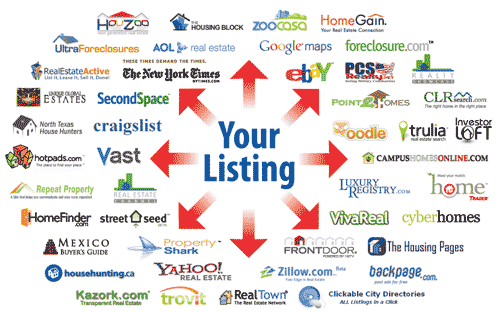 We provide elite marketing exposure with listings in thousands of places online. We negotiate at every step to put our sellers at an advantage during contract negotiations. We provide expert guidance during the inspection process to minimize seller repair costs. We have great referral sources to helps sellers with repairs, staging, moving, etc. We monitor the process all the way to closing and deal with all issues that may arise. We are 100% committed to providing expert guidance and service throughout the process. We are flexible on our listing agreements to ensure a win-win arrangement for everyone. 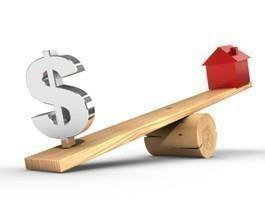 We charge no up-front fees and if your home doesn't sell we don't get paid. We can offer relief to sellers who will also use our services on a follow up home purchase. We can refer sellers to a great buyer's agent in any relocation area in the U.S.
We are internet savvy, respond quickly and take a pro-active stance during the process. We provide quality marketing pieces including online and on all home brochures. We are local experts and provide a methodical approach to getting your home sold. We listen to your goals because that's the most important factor in the entire process. 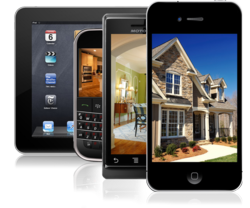 We create individual website listings and use domains and QR codes to promote your home. We have an elite online presence with more than a million annual website hits.